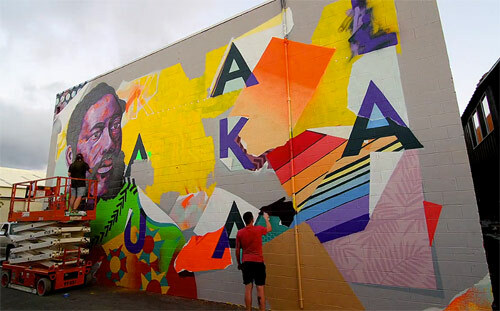 Awesome mural painting made by the tandem graffitti artists Madsteez and Roid at Pow Wow Hawaii. If you like to see how crazy paintings are made, check the time lapse this guys did of the process. Previous Post “Girl Walk//All Day” Project, The power of one smile in motion. Next Post A wall painting by Supakitch and Koralie.